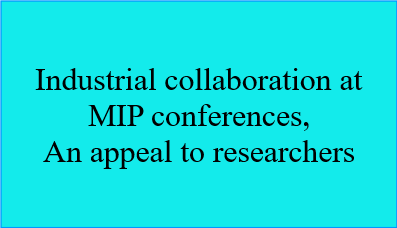 Article Title: Synthesis and characterization of MIPs - a viable commercial venture. 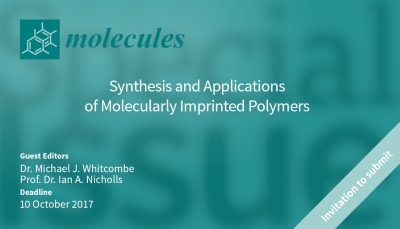 Abstract: Knowledge and applications of molecularly imprinted polymers (MIP), is rapidly developing, especially in the chemical analysis field, Molecular imprinting is a method of inducing molecular recognition properties in synthetic polymers in response to the presence of a template species during formation of the three-dimensional structure of the polymer. Accordingly, the projected US market for separation techniques will be approximately $1.19 billion. MIP materials could claim a share of 1–3% of this market particularly in the sector of chromatography columns, which is valued at $500 million per annum. The ability of imprinted polymeric materials to resolve racemic mixtures could prove especially lucrative to the pharmaceutical industry where as much as 68% of drugs currently in development are chiral. This corresponds to a market for chiral compounds of $120 billion. 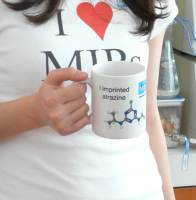 The broad selection of MIP applications already within reach for commercial applications ranging from separations, assays, and sensors to advanced catalysis will be complemented in future by advanced uses such as detection of gases in space exploration and drug-release matrices Molecularly imprinted polymers can be a valuable alternative for receptors of biological origin, such as antibodies, in terms of robustness, versatility and ease of preparation. The synthesis, characteristic, effect of molecular recognition and different preparation methods of MIP in recent few years are discussed in this review, unsolved problems and possible developments of MIP were also been briefly discussed.